ich wünsche euch und euren Familien ein Frohes Fest sowie Glück und Gesundheit für das Neue Jahr. wishing you and your families a merry Christmas and a happy and healthy new Year. os deseo felices Navidades y un prospero Año Nuevo, para vosotros y vuestras familias. 16.12.2010 : Flying in from the opposite end of the world “Constantin is back from California” and attended yesterday’s pharmacy cigar gathering. Welcome back !! 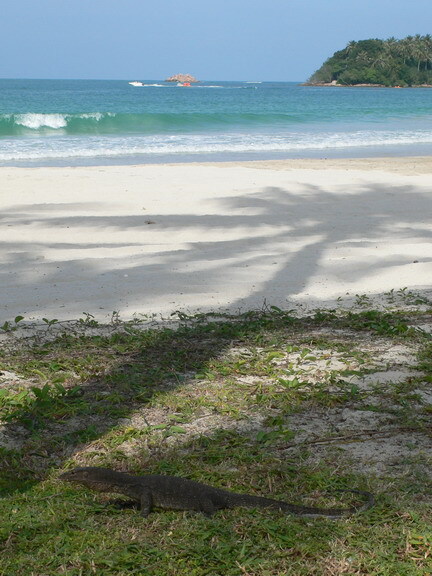 14.12.2010 : And last in the Singapore series, our trip to“Bintan – Cigars with Lizards” – very fine cigars by the beach shared with some pre-historical creatures, the slick lounge lizards. Enjoy ! 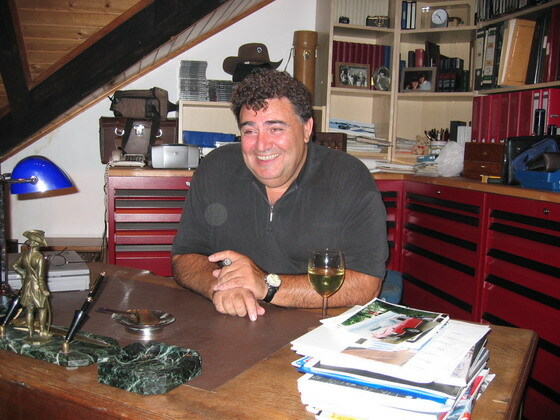 12.12.2010 : After enjoying his excellent Nicarao cigars a short while ago back in Germany, I had the pleasure of meeting “Didier Houvenaghel – Cigars, Soul and Passion” in Singapore where he lives. A truly passionate man full of positive energy. Gracias Amigo ! 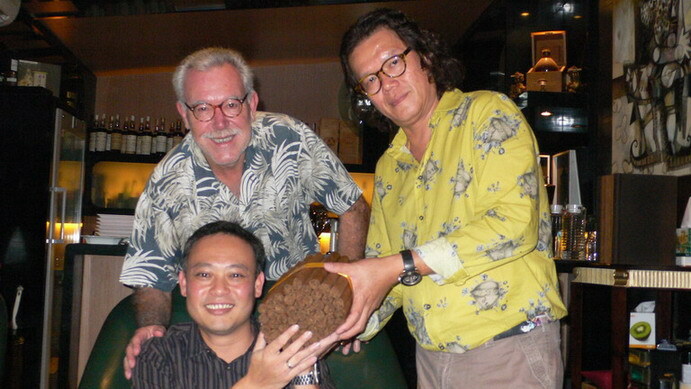 11.12.2010 : While in Singapore I had the pleasure of being introduced to “The Humble Dogs – a truly fine cigar smoking group of friends” – here’s the smoking session with them. 20.11.2010 : The EU is preparing to new law that would make smoking even harder and … even prohibit “Walk-In Humidor’s” – what a bad joke. So, stand up for your rights – protest – “Do’t say you weren’t consulted”. Time to stop those jokers ! 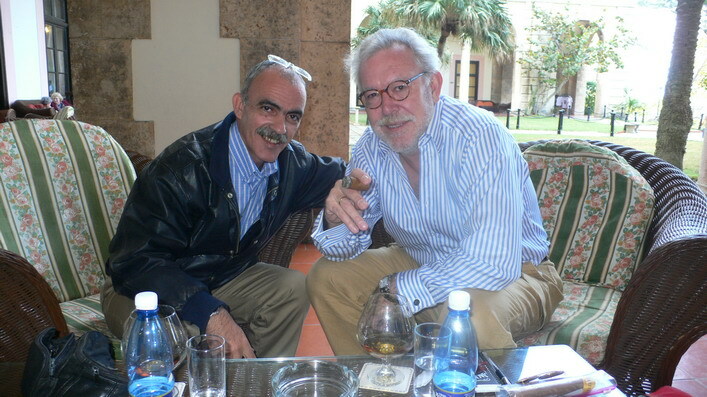 12.11.2010 : Always a pleasure to meet up with Thorsten Wolfertz – this time “Smoking Nicarao Cigars by Didier Houvenaghel with Thorsten” both at Massimo’s in the village and then in Alzey. Good sticks !! 25.10.2010 : The party goes on : here’s yesterday’s “Distilled Fruits & Blue Suede Shoes Pharmacy Smoke ANS” – Enjoy ! 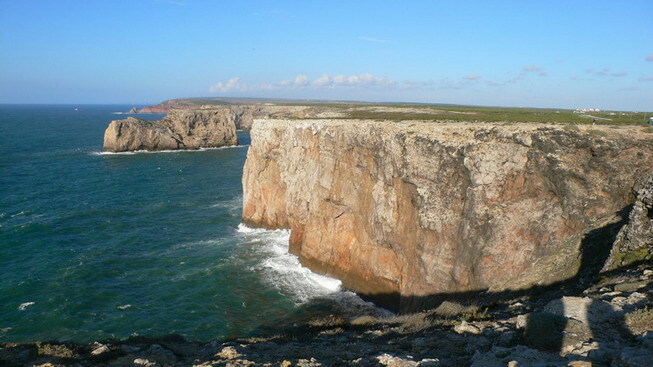 23.10.2010 : Last Portugal Report : “Algarve Sideroads – A Cigar in Sagres” – Ate logo. 23.10.2010 : First Pharmacy Smoke outside the Pharmacy : “ANS Algarve – Pharmacy Cigars in Portugal” – Enjoy. 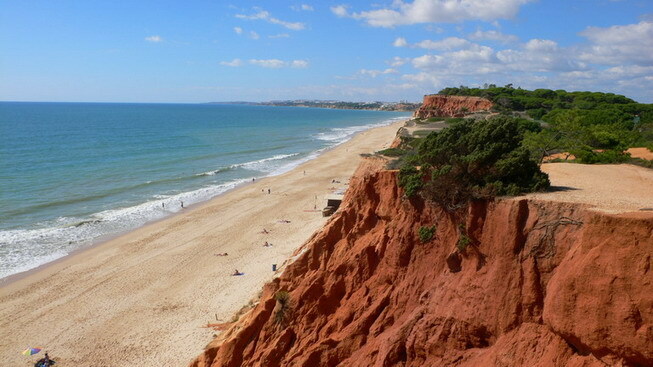 22.10.2010 : First of a 3-part series on our Portugal vacation : We start “Revisiting the Algarve” – back home for us ! 29.09.2010 : Still hooked on good soccer – Our home team, Mainz 05, is top of the Bundesliga thanks to a fantastic Boygroup – so we had “ANS – Federweisser & Drumsticks to celebrate Mainz 05” at the pharmacy. 19.09.2010 : Friday’s regular dinner at Massimo’s was a “BHK 56 Dinner at Massimo’s” review – very favourable. Enjoy ! 16.09.2010 : Yesterday’s pharmacy smoke was two-dimensional “ANS – Southern Spirits & German Regional” – we keep things simple. 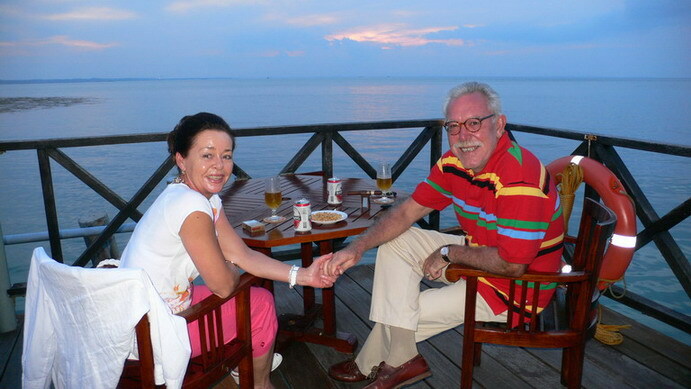 07.09.2010 : Besuch von der Küste in die Apotheke und den Weinbergen – Thomas und Birgit hatten eine schöne Zeit beim “ANS Nordsee am Rhein” – Schönen Urlaub noch ! 27.08.2010 : After 10 months of gym work-out and losing 13kg or 26lbs, I’d like to share “Steve’s & Dave’s Fitness Advice” with you all. After all : it worked ! 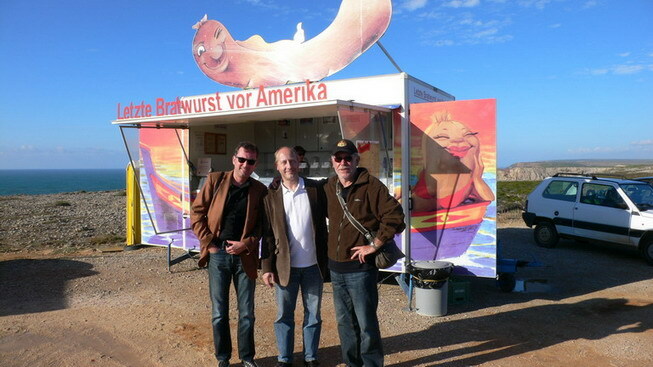 27.08.2010 : Alles wird endlich gut – Vor 2 Jahren (!!) 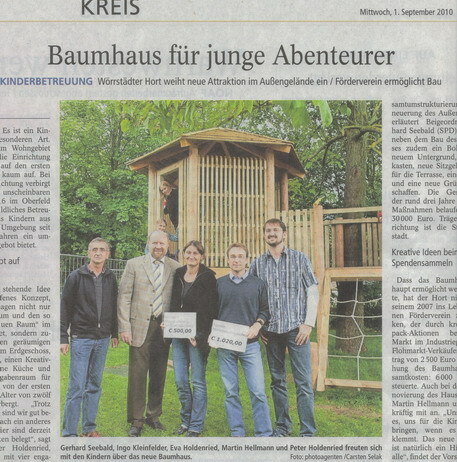 hielten wir ein “Spenden-ANS für den Kindehort Wörrstadt – Update” – das Baumhaus ist errichtet worden – siehe das Update. 25.08.2010 : Nothing beats the cozy, intimate “BBQ dinner with Padrinos and Malt” that we enjoyed at Bernhard’s last Sunday – yummy ! 24.08.2010 : Last week-end we held our customary Big Pharmacy Smoke with many good friends attending the event. 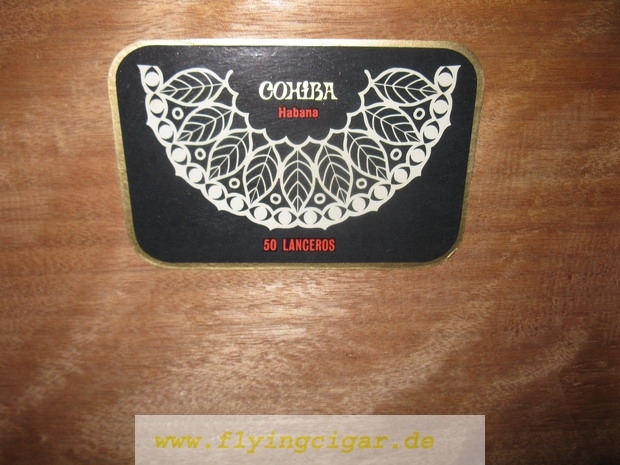 19.08.2010 : Here’s an exciting find of one of the “Holy Grails” in cigar history – “Extremely Rare Cohiba Lanceros” that a Canadian friend has had the good fortune of discovering. 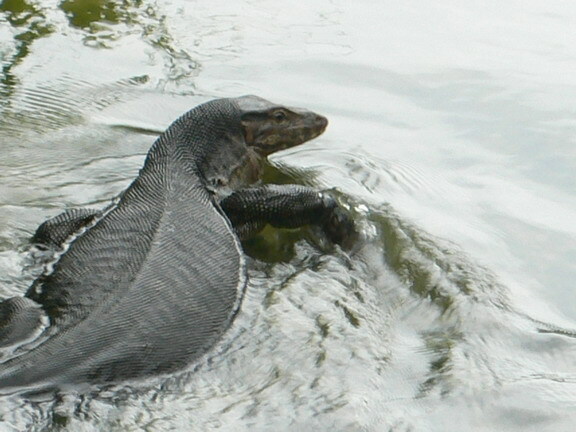 I am grateful to “Hamlet” for his permission to share the story on my site. Enjoy ! 10.08.2010 : And a highly exclusive and interesting “Update on the progress of the II MRN edition by Min Ron Nee” – with fascinating technical details, 11 photographs by the author and insights into his Hong Kong photography studio – Enjoy ! 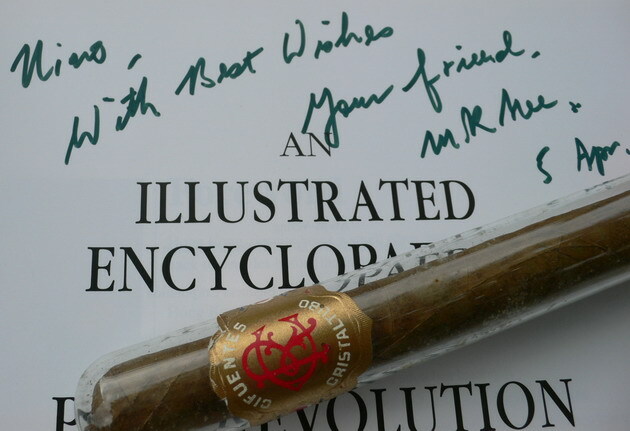 08.08.2010 : Always pleasant to communicate with renowned author & collector Min Ron Nee – yesterday we had the great pleasure of enjoying two great and very rare cigars that he generously sent my way a while back. 28.07.2010 : A nice surprise to see one of my reports linked in Spain’s largest newspaper “El Pais – El Arte de fumar despacio/The art of smoking slowly” . 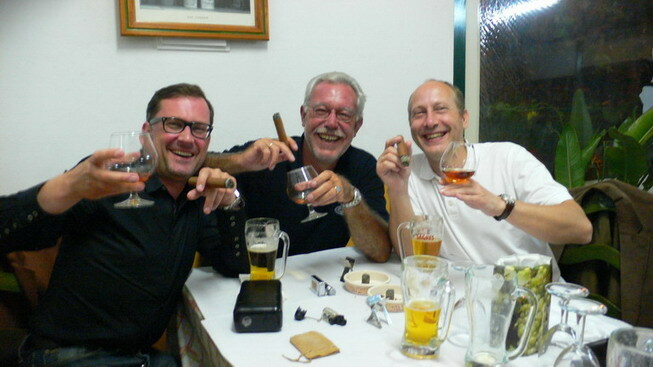 20.07.2010 : A good cigar after the opening of “Trinkhorn Microbrewery & Punch ER Paises Nordicos” – Prost ! 17.07.2010 : Heatwave – best way to cool off : “Massimo Summer Dinners – Fonseca ER Benelux” – Buon appetito ! 13.07.2010 : Time to unwind now that the World Cup is over – we had our regular “ANS – Another Night of Spirits” – Prost ! 10.07.2010 : The last of Alan’s very rare Tatuajes were smoked – “World Cup Beers, Alan’s Tatuajes & Uruguay vs Germany” – Enjoy the coold brews ! 09.07.2010 : In between the football matches – “Massimo Summer Dinners – Vegas Robaina ER Adriatico” a very short review. 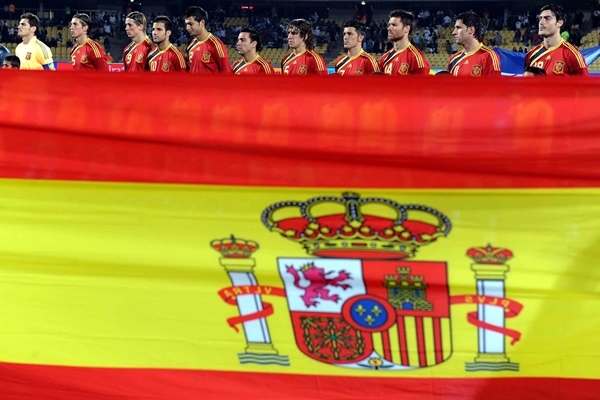 08.07.2010 : Marvelous match by Spain – “World Cup Cigars -Mara-VILLA – Germany vs Spain” – Que Maravilla ! 04.07.2010 : A very Happy 4-th of July to all my US friends ! Here’s what I smoked : “Alan’s Cigars – Tatuaje Black” – Enjoy ! 03.07.2010 : A picture tells a thousand words : ” World Cup Cigars – Argentina vs Germany Quarter Finals” – the village is up in celebration ! 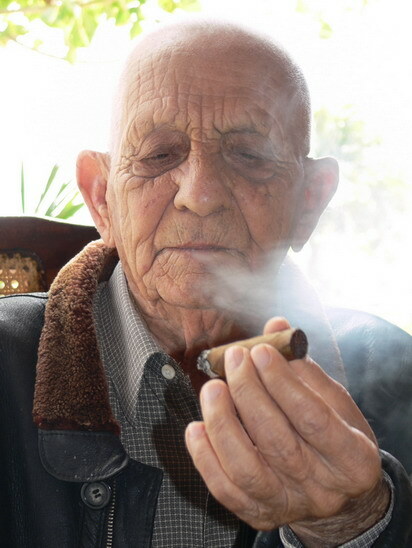 02.07.2010 : A very small cigar but a big drama in Johannesburg “World Cup Cigars – Small Trinidad Big Drama – Uruguay vs Ghana” – a review of today’s matches ( Brazil is out ) and a very good & tasty cigar – Enjoy ! 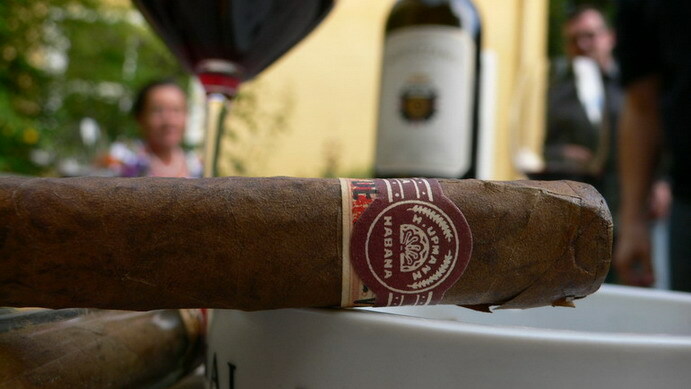 01.07.2010 : A very hot day – perfect for tapas and “Alan’s Cigars – Tatuaje Verocu Tubo” in the cool sunset breeze. Enjoy ! 30.06.2010 : Yesterday’s pharmacy Smoke was a tv evening watching “ANS World Cup Cigars Spain vs Portugal” – Finally the ball was delivered ….. and Portugal was out. 28.06.2010 : Yesterday’s match has always been a Classic ! –“World Cup Cigars – Germany vs England” – ever since 1966 and that Wembley goal…..
26.06.2010 : Alan aka “Mr Goodfella”, a friendly reader of my blog know of my love for Tatuajes and he has sent me some rare and hard to find samples for my/our smoking pleasure – I start “Alan’s Cigars with a Tauaje T 100” review. Great cigar – Thank you Alan ! 25.06.2010 : Another World Cup farewell tonight “From Hopp To Flop – Schwiiz Goes Home” – a friendly “blog war” & bet with Heiko resulted in this headline and picture ……..
18.06.2010 : A great match it was – and we had “Free sausages but no free beer” at the Germany-Serbia game at Andy’s Pub. 16.06.2010 : Victory or Defeat – the main thing is having fun, which is what we had at the pharmacy“ANS – A Nice Suffering” after the match – we’ll see what Germany will do Friday and celebrate at Andy’s Pub ! 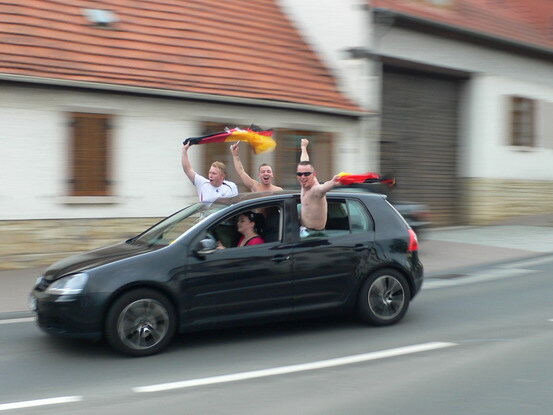 16.06.2010 : The Swiss were just more effective so : ” World Cup Cigars : Portmann 1 – Spain 0″ – Gratulation Schwiiz ! 14.06.2010 : Great fun in my pub – “Happy Hour at Andy’s Pub for the World Cup“ ….. plus free sausages at half-time and free beer after any german victory – we had a blast yesterday !! 13.06.2010 : Last day’s action watching the matches in South Africa- “World Championship Cigars – and changing colours mid game” – we had fun in the village, both at Massimo’s restaurant and Andy’s Pub. 11.06.2010 : This minute, at 4 p.m., the world cup starts in Jo’burg – yesterday pharmacist Andreas and I had “Portmann 40, Pizza and memories of another great World Cup” in South Africa. We look forward to great games !! 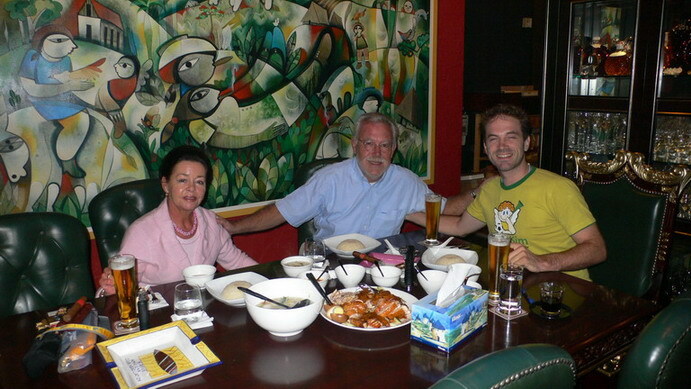 05.06.2010 : Looks like summer has finally arrived – Time to celebrate with “ANS – Pizza & Pepin’s at the Pharmacy”. 24.05.2010 : Sharing good cigar time with Andreas – It was a “Pre-Birthday BHK 54 at 45 for Andreas” as he will turn 46 tomorrow. Happy Birthday Andreas !! 24.05.2010 : Last Friday’s Pharmacy smoke ended in a close shave “ANS – A Nightly Shave” – Gabriel sacrificed his head and we had fun, scrambled eggs and good fun – plus better cigars. Enjoy ! 23.05.2010 : Glorious weather today for “Spießbraten, Asparagus and Whitsunday BHK 56” that we enjoyed in the garden. 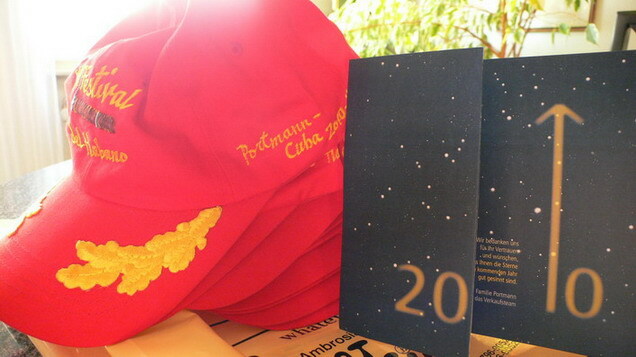 22.05.2010 : A contribution by Kai aka “Vegas Robaina” who sent me a ton of fine photographs from the “XII Festival del Habano Gala Dinner” courtesy of Jose Ernesto Aguilera – Gracias !! 17.05.2010 : Having a blast at the local Fire Dept. station with the wives & the guys “Feuerwehrfest – Cigars at the local Fire Dept” – lots of good hot fun this week-end. 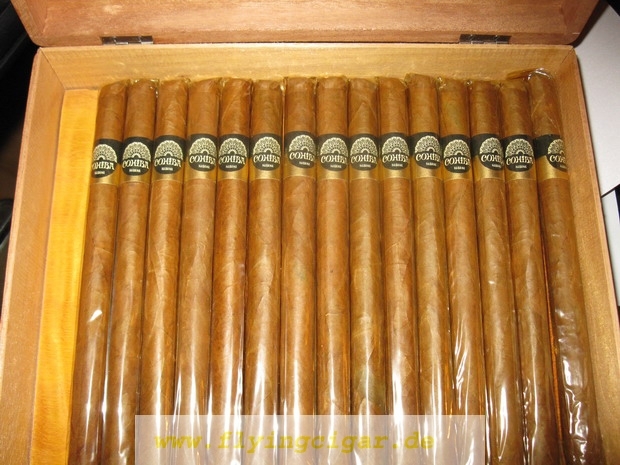 17.05.2010 : Ein Beitrag von Andreas “Rheinhessenraucher” der “besseren Hälfte” die Zigarre nahe zu bringen “Ladies, Edelstahl und Zigarren” / A contribution by Andreas to get more ladies to smoke & enjoy cigars. 16.05.2010 : If only I could do it more frequently – meet “Reynaldo on tour in Germany” – it was nice to meet up with this great roller again. 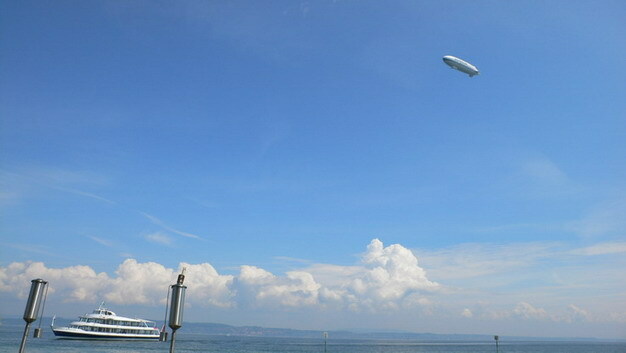 11.05.2010 : Once again perfect bliss to travel south to Lake Portmann – “Cigars, Jars and a Zeppelin at the lake”. That is what was waiting for me to enjoy – plus sunny blue skies and a relaxed atmosphere – Enjoy ! 03.05.2010 : Enjoying the village delights plus a marvellous cigar “Asparagus, Wine and Maravilla” – plus a big takk sent to Norge and Arild & Ida !! 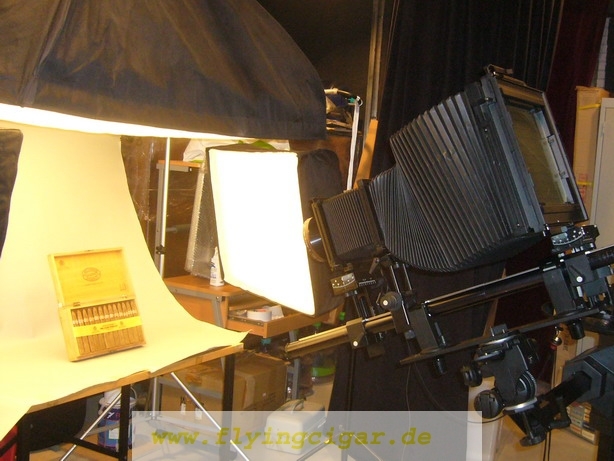 29.04.2010 : A nice week it was, we had “Air, Medical and Optical Cigars plus a Big Surprise” – Sharing is what cigar smoking is all about ! 20.04.2010 : Tributes to “Don Alejandro Robaina in the International Press”. Updated with a very interesting 2008 Interview by Bohemia magazine (in Spanish). 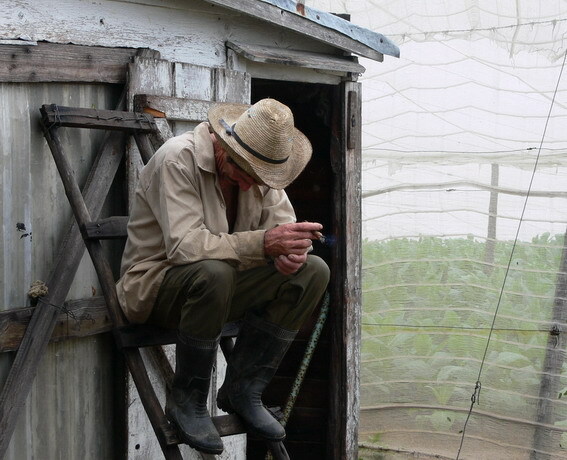 19.04.2010 : Here’s my tribute to the great Man – “In Memoriam Don Alejandro Robaina”. 17.04.2010 : Not all ash is as harmless as cigar ash – the “Empty Skies” over central Europe, devoid of any aircraft, cause me pain. 14.04.2010 : Life goes on – this was our “Pharmacy Smoke ANS April”. 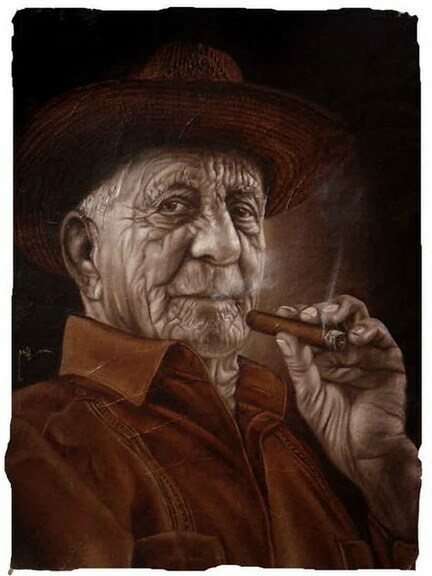 05.04.2010 : My last piece on this year’s “XII Festival del Habano – Mixed Feelings and Reflections”. 12.03.2010 : A tale of two dinners : “XII Festival del Habano – Gala Dinner” and a quiet evening enjoying homemade Pasta – “XII Festival del Habano – Valerio’s Pasta Dinner” – Buon Appetito ! Here’s also a “XII Festival del Habano – Mixed Gallery” with some additional pictures. 11.03.2010 : A great event, full of class & style “XII FdH – Tasting of the RyJ Royal Duke courtesy of Alex Iapichino” – memorable tasting in a great location, Plaza Vieja in Old Havana. Enjoy ! 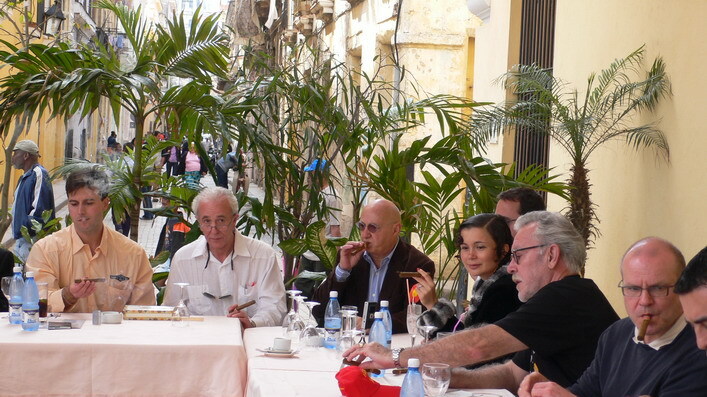 10.03.2010 : Halfway there – another 2 reports in today : “XII Festival del Habano – Intertabak Dinner” and, always a highlight “XII Festival del Habano – El Laguito Visit” – My pleasure. 09.03.2010 : After all this work, I am happy to relax with good friends – yesterday the occasion was “Smoking the Robaina Padrino/Godfather” – certainly one of the best cigars we have ever enjoyed. Absolute Perfection ! 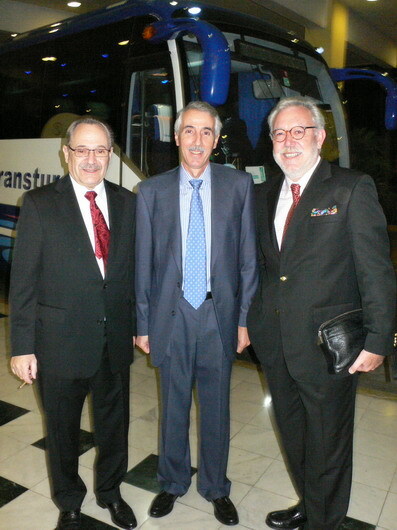 And the “XII Festival del Habano – Portmann Dinner”. “XII Festival del Habano -Private dinner” – held this year at La Palia. 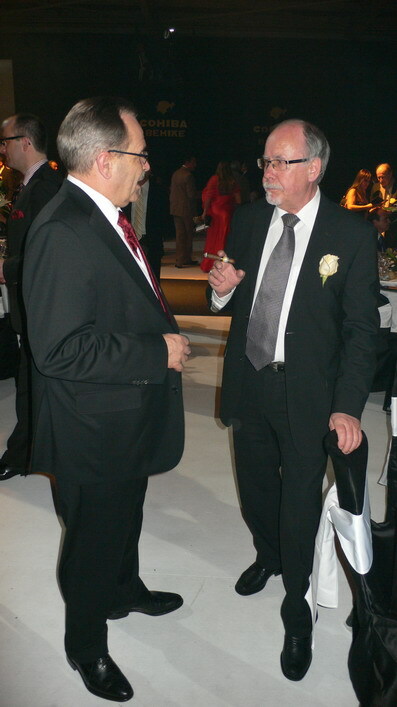 07.03.2010 : Another 2 Picture Galleries added today : “XII Festival del Habano – Welcome Night” and “XII Festival del Habano – BHK Tasting”. 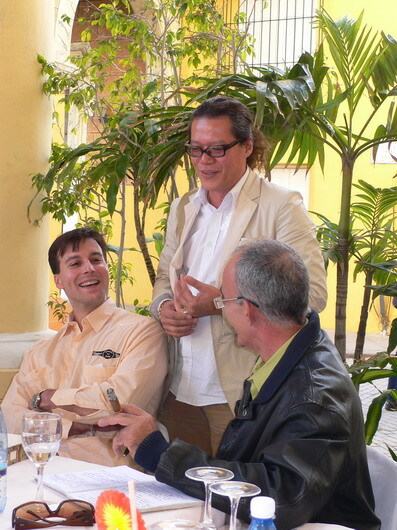 06.03.2010 : Here I start with the “XII Adios Festival del Habano – Preview” picture gallery – I’ll try and follow up as soon as I can. 04.03.2010 : And this was the “Adios Festival – Hello Pharmacy Welcome back party” we held today at the village lab – Habanos, pork, Tatuajes plus a good time included. 20.02.2010 : Leaving for Havana and the Festival – this was the “Cuban Send Off at the Pharmacy” yesterday. 16.02.2010 : Celebrating my “Gran Cohiba Birthday Tasting” of 2003 Gran Reserva and 2003 Siglo VI’s with the usual suspects at Massimo’s. Happy Birthday to myself with good friends ! 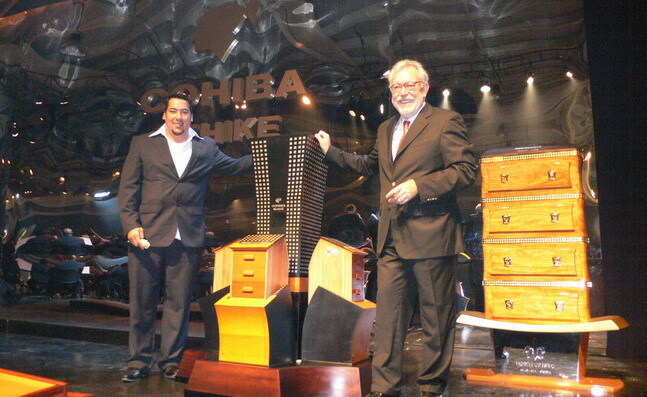 16.02.2010 : Here’s some more “SMS-Spanish Market Specials – a Cohiba Car Humidor” that has been designed by Ferrari. 14.02.2010 : Back in Spain for a short week, it was “Lentil Stew & Punch ER Spain” plus sunny skies. 14.02.2010 : Once again “Dave visited the village again – plus this time he also visited Portmann Cigars “ – and he had snow on both sides of the pond, both here and back in DC. 02.02.2010 : Ein grossartiger Bericht in der “Südostschweiz Am Sonntag” über einen gemeinsam guten Freund – “Auf Eine Zigarre mit … Jimmy Ng” von Andreas Trabesinger – Danke an Marc Portmann für die Information ! 01.02.2010 : Sad news out of Havana – “La Guarida has closed down”. 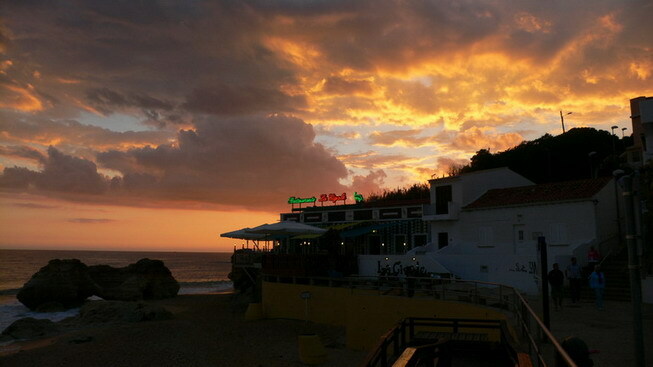 Cuba’s best Paladar will be sadly missed by all aficionados for its great menu, atmosphere and style. 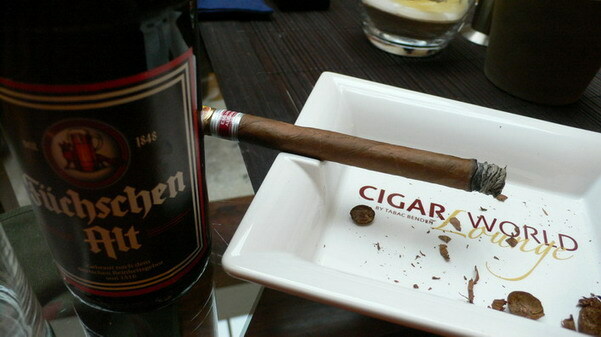 29.01.2010 : Hier ein kurzer Bericht und Impressionen des “Cigar Cult Club Jahreseröffnungsrauchen im Entenbistro” des Hotels Nassauer Hof in Wiesbaden mit einem Überraschungsgast. 26.01.2010 : After the Düsseldorf cigar meet it was back to Spain for a few days again – “Garlic Soup & Cohiba Gran Reserva 2003” and some sunny blue skies. 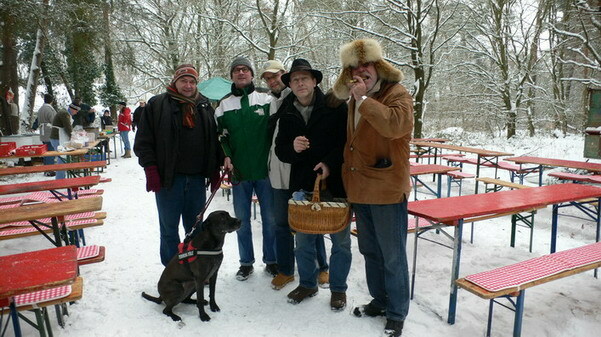 16.01.2010 : Zurück von einem wirklich sehr schönen Wochenende bei Freunden in Düsseldorf und im Bergischen Land – hier Impressionen von “Cigarworld, Dröppelminna und Cohiba Millennium” mit unseren Freunden. Herzlichen Dank an Alex für die Organisation und die grosszüzige Gastfreundschaft, sowie an Patricia und Marc Benden ! 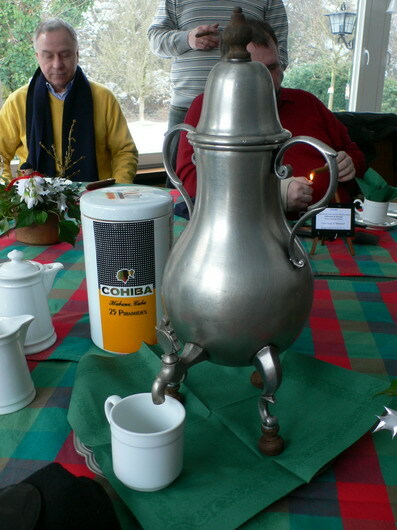 Back from a really great weekend with friends in Düsseldorf and Bergischen Land – some impressions of “Cigarworld, Dröppelminna and Cohiba Millennium” with our friends there. 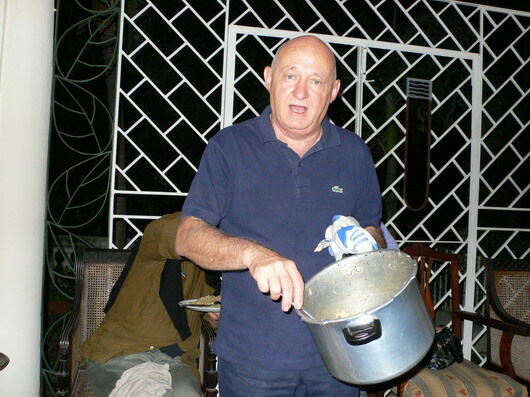 Our deep appreciation to Alex for organizing the event and the generous hospitality and to Patricia and Marc Benden ! 12.01.2010 : From a forest pigs head lunch to a more elegant “Farewell Lunch and Feuerzangen Dinner” one at LH HQ and the other at the pharmacy – all enjoyed yesterday. 06.01.2010 : Sweet little story about how lucky I am to frequent “Andy’s Irish Pub & Humidor Repair Shop” in my village …… enjoy ! 05.01.2010 : The Portmann group of travelling cigar gipsies has been outfitted with nicely embroidered caps for the “XII Festival del Habano” – one even sporting scrambled egg …… Cuba here we go again ! 02.01.2010 : Here’s how we celebrated “Into the New Decade at Massimo’s” – Enjoy ! 01.01.2010 : Wishing everybody a Very Happy New Year ! !